Hot Week: Digging Hot Tamales Through the Decades! 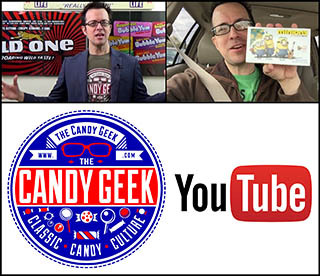 Hot Week: The Search for Nerds Hot N’ Cold! For today’s Cinnamon Hot Week entry I’m going to do something a little different and discuss a product I’ve yet to find much information on and one that remains a delicious and elusive mystery; Nerds Hot N’ Cold! Hot Week: Mason’s HOT Cinnamon DOTS from the 80’s! As we hit day four of our Cinnamon Hot Week, it’s time to share another hot flavor of a classic brand you’ve probably never heard of: Mason’s Hot Cinnamon DOTS! Hot Week: Bazooka Hot Bubble Gum from 1973! During the initial two days of Cinnamon Hot Week I looked at unusual items from the 1960’s and the 1990’s – so today I’m hitting the 1970’s with a dynamite-yet-mysterious release from Topps Chewing Gum: Bazooka Hot Bubble Gum! Hot Week: Willy Wonka’s Everlasting Hot Gobstoppers!! Welcome back to the second day of our Cinnamon Hot Week! Today we’ll be shining a delicious light on a treat from the early 1990’s; Willy Wonka’s Everlasting HOT Gobstoppers! Kicking off Cinnamon Hot Week! Artist Paul Rousso Transforms my Collection into Giant Art!